At first, I thought the headline was a joke on government programs. 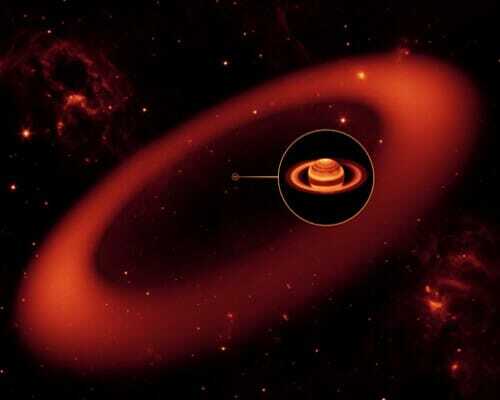 It read something like "NASA Spitzer telescope discovers ring around Saturn." I mean, duh. This artist's conception shows a nearly invisible ring around Saturn -- the largest of the giant planet's many rings. It was discovered by NASA's Spitzer Space Telescope.